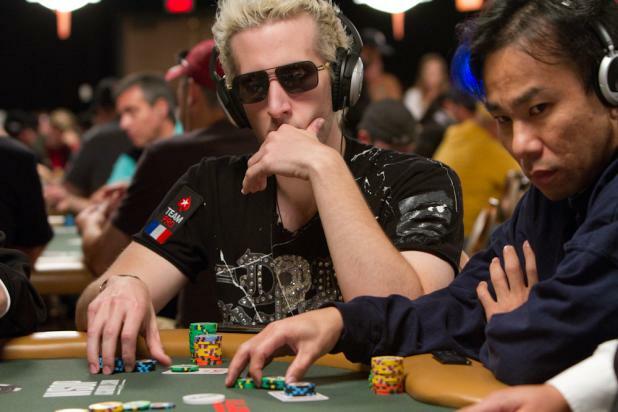 Bertrand "Elky" Grospellier (left) plays a hand against Kido Pham (right) on Day 1b of the WSOP Main Event. Grospellier is one of the most successful tournament players of the last few years, earning more than $5.5 million since the start of 2008. 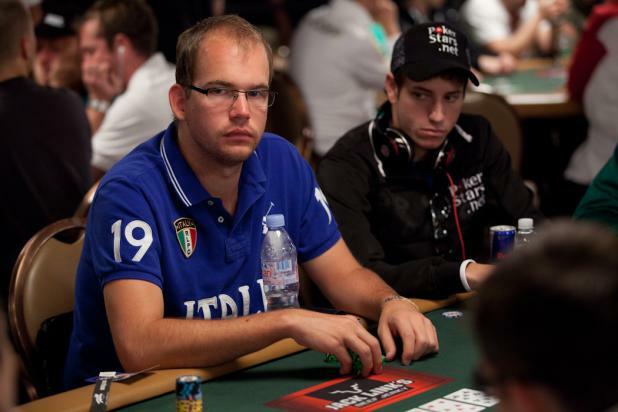 Grospellier's deepest run in the Main Event came last year, when he finished in 122nd place. Chris Dombrowski (left) has had a good Series, with five cashes so far. 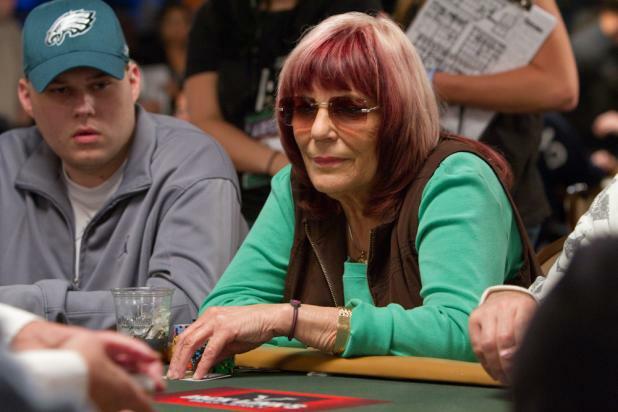 On Day 1b of the WSOP Main Event, Dombrowski finds himself seated next to Barbara Enright, the only woman who has been inducted into the Poker Hall of Fame (in 2007), and the only woman who has ever reached the final table of the WSOP Main Event. Enright finished fifth, busting out on a bad beat when her pocket eights couldn't hold up against 6-3 suited. Annie Duke came close to being the second woman to reach the final table of the Main Event, but bubbled in 10th place in 2000, when she was eight months pregnant with her third child. 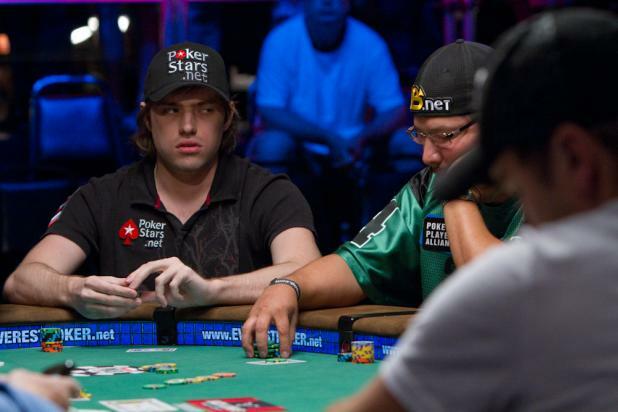 Ivan Demidov was part of the original WSOP November Nine when the Main Event format was changed for the final table in 2008. While Demidov was waiting to play out the biggest tournament of his life, he went to London to play in the WSOP Europe, and amazingly made the final table of the WSOPE Main Event too, finishing third. That performance made Demidov a favorite to win the November Nine, but he fell just short, finishing as the runner-up to Peter Eastgate. On Day 1b of the 2010 WSOP Main Event, Ivan Demidov shared the ESPN featured table with Gavin Smith (not pictured). 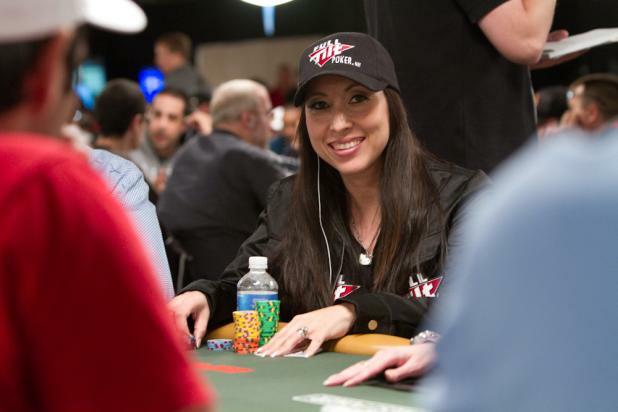 Karina Jett is one of only six women who have made WSOP final tables this year. Jett finished fourth in Event #27 ($1,500 Seven Card Stud Hi-Lo). The same day she was at her final table, her husband Chip was playing Day 1 of Event #31 ($1,500 H.O.R.S.E.) -- an event where he would come one spot away from the final table himself, finishing ninth. 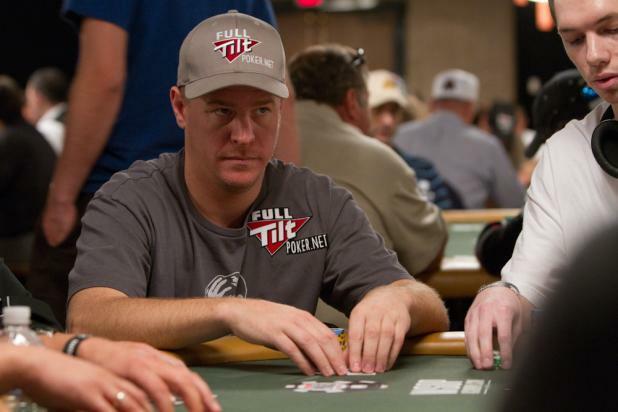 Gavin Smith has been playing the WSOP Main Event for years, but this is the first time he's playing as a WSOP bracelet winner. Smith won Event #44 ($2,500 Mixed Hold'em), finally taking his name off the list of "Best Players Without a WSOP Bracelet." 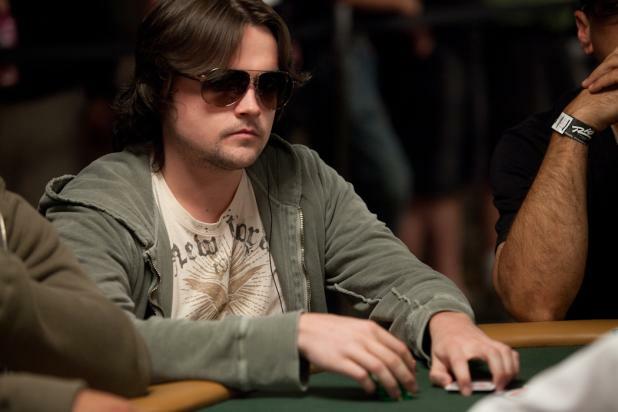 Erick Lindgren won the WSOP Player of the Year award in 2008, when he won his first WSOP bracelet, made three final tables, and earned more than $1.3 million. Lindgren's 2010 WSOP results haven't reached his own high standards, though he has two cashes and a final table under his belt (finishing sixth in Six-Handed $5,000 No-Limit Hold'em). But the WSOP Main Event offers hope for all players -- do well and go deep here, and it atones for the rest of the year. Is a WSOP Bracelet Better Than an Oscar? 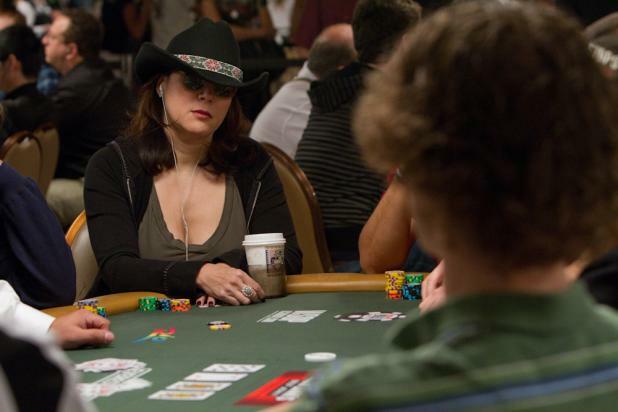 When Jennifer Tilly won the WSOP Ladies Event in 2005, the Academy Award-nominated actress said that winning a WSOP bracelet was "better than an Oscar." Tilly has been playing poker seriously for more than five years, and has said in several different interviews that she prefers the poker world to Hollywood -- people are more honest in poker, except when they're bluffing. Here, Tilly plays a hand on Day 1b of the WSOP Main Event. 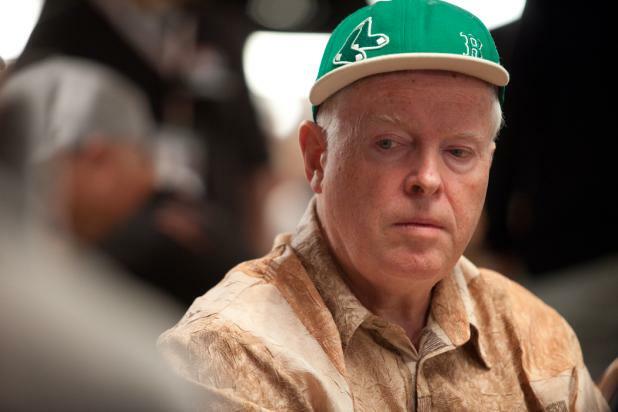 Dan Harrington has reached the final table of the WSOP Main Event four times in his career -- sixth in 1987, first in 1995, third in 2003, and fourth in 2004. Here's some trivia: Harrington earned more for his fourth-place finish in 2004 ($1.5 million) than when he won the event in 1995 ($1 million). Harrington is the last player to make the final table in back-to-back years, against relatively large fields (839 players in 2003 and 2,576 players in 2004). James "Flushy" Dempsey (left) is still in the running for 2010 WSOP Player of the Year, but it's a longshot to say the least. If Dempsey finishes second in the WSOP Main Event, he'll fall short of POY points-leader Frank Kassela. Even if Dempsey wins, he'll only be tied with Kassela. That means even a min-cash by Kassela would knock Dempsey out of the running. Actor Robert Iler, most famous for playing Tony Soprano's son A.J. on the hit TV show "The Sopranos," plays on Day 1b of the WSOP Main Event. 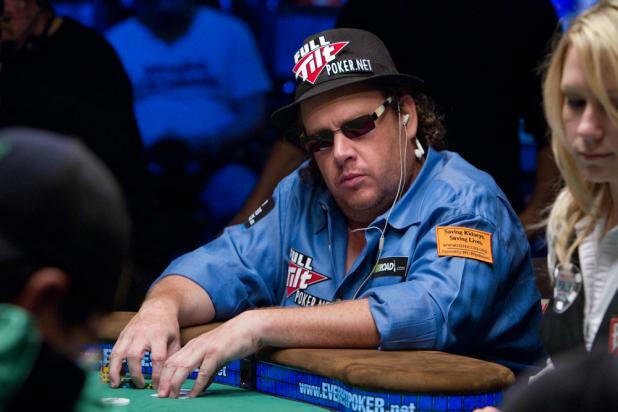 Iler adds his name to the long list of Hollywood actors who can say that they've played in the biggest, most prestigious poker tournament of the year.